When Karen discovered she had a life threatening heart condition, the last thing she expected was to have to worry about software. Now, with a heart device implanted in her body, she has come to understand not only how vulnerable medical devices are but how as a society we are making critical choices about all of our software. Karen will talk about some of the scary (and entertaining) hacks which show how essential free and open source software is and will discuss her professional and personal view of the issues as a patient and as a cyborg lawyer. Karen M. Sandler is the Executive Director of the GNOME Foundation. She is known for her advocacy for free software, particularly in relation to the software on medical devices. 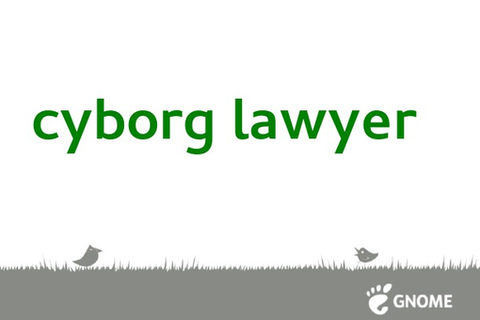 Prior to joining GNOME, she was General Counsel of the Software Freedom Law Center. Karen continues to do pro bono legal work with SFLC and serves as an officer of the Software Freedom Conservancy and an advisor to the Ada Initiative. She is also pro bono General Counsel to QuestionCopyright.Org. Karen is a recipient of the O'Reilly Open Source Award.